The group will be welcoming either Graeme Young or Paul Gethin to TillVAS on Wednesday, 4th November at 7.30pm in Crookham Village Hall. Both archaeologists have been working on the excavations at Bradford Kaims. The Bamburgh Research Project supported by the Heritage Lottery Fund and English Heritage have been working with the local community (including some TillVAS members) and universities to investigate a truly remarkable ancient wetlands site which is located just a few miles from Bamburgh. The area still floods in wet weather and was once a peat filled lake. Peat has a wonderful property of preserving the kind of organic remains that do not survive on dry sites. Hence this is a particularly fascinating area and the talk promises to be of great interest. Come along and find out how people lived 6,000 years ago at Bradford Kaims! This entry was posted in E Newsletter and tagged Bamburgh, Bradford Kaims, community, Heritage Lottery Fund, TillVAS on November 2, 2015 by cbanorth. Do you live in East Fellside? If so…. read on…. Do you live in or around Castle Carrock, Newbiggin, Cumrew, Ainstable, Cumwhitton, Talkin, Hayton, Farlam, Hallbankgate, Midgeholme, Tindale, Kirkoswald, Renwick, Croglin, Gamblesby, Glassonby, Melmerby or Brampton? 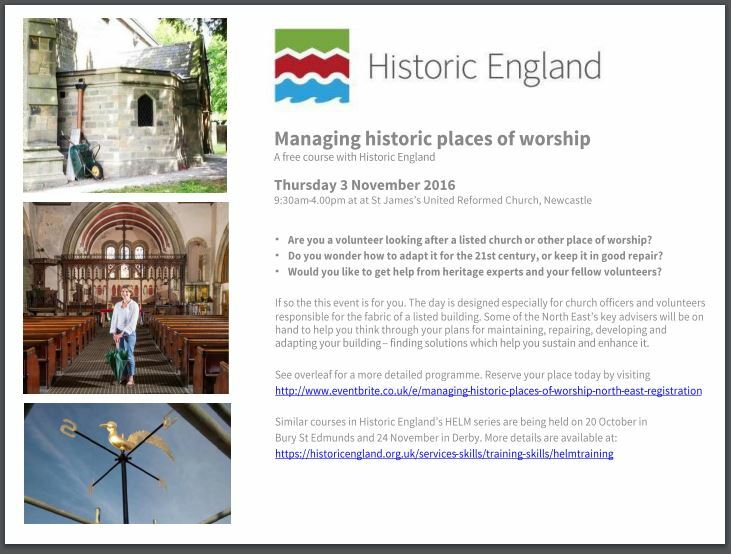 Or are you part of a special interest or volunteer group in those parishes? The early stages of a Heritage Lottery Funded bid is being developed in your area and is looking for interested local people with exciting ideas for projects. What’s special about your local landscape? Projects could cover enhancement and celebration of nature conservation, historic buildings, cultural history and traditions, access, environmental education, nature and cultural based tourism, small scale sustainability issues and heritage skills training. This entry was posted in E Newsletter and tagged Ainstable, AONB, Brampton, Castle Carrock, Croglin, cultural history and traditions, Cumrew, Cumwhitton, East Fellside, environmental education, Farlam, Gamblesby, Glassonby, Hallbankgate, Hayton, Heritage Lottery Fund, heritage skills trainin, Historic, historic buildings, Kirkoswald, Melmerby, Midgeholme, nature and cultural based tourism, nature conservation, Newbiggin, North Pennines, Renwick, small scale sustainability issues, Talkin, Tindale on October 19, 2015 by cbanorth. TillVAS is back at Heatherslaw Mill for another local history exhibition. The subject this year is the Heritage Lottery funded Village Atlas Project. Work has started and the exhibition will show how far the project has got in researching the history of Branxton and Crookham. They have had a great deal of help from local people and will have a variety of old maps, documents and photographs on display. This year, they will be open in the Old Bakery Office during the month of July on Sundays, Tuesdays, Wednesdays and Thursday from 11am – 4pm. TillVAS will also be at Glendale Show on Bank Holiday Monday, 31st August. This entry was posted in E Newsletter and tagged Branxton, Crookham, Exhibition, Heatherslaw Mill, Heritage Lottery Fund, Till Valley, TillVAS, village atlas on June 28, 2015 by cbanorth. 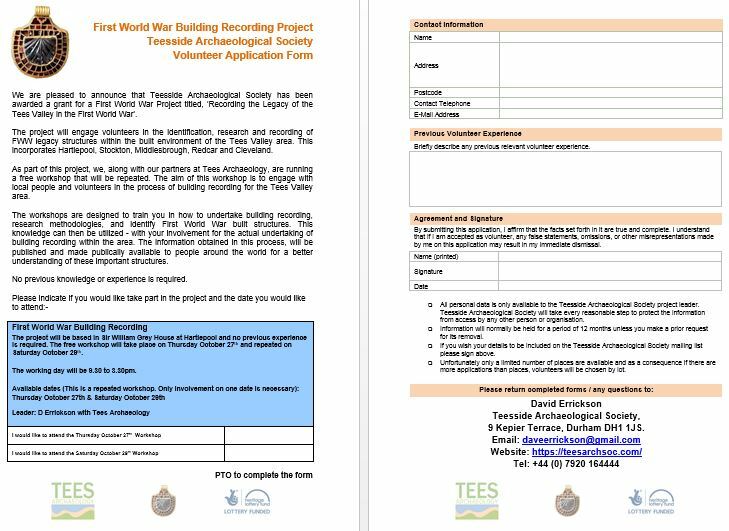 As part of the HLF funded ‘River Tees Rediscovered’ landscape partnership project Tees Archaeology are working with Natural England and the Hartlepool Partnership for Nature to raise awareness of the heritage of the area between Seaton Carew and the River Tees. A workshop will be held on Thursday 21st May at the Hartlepool Nuclear Power Station Visitors Centre. The day will be split into two parts. In the morning people will be introduced to a range of sources of information about the area and take part in a series of exercises to reveal what this tells us about the local heritage. The sources used will include maps and aerial photographs along with historical and archaeological information about the area. In the afternoon there will be a guided visit to the North Gare to look at features ranging in date from the medieval period to the Second World War. You should come prepared for an outdoor visit with appropriate clothing and footwear. Tea and coffee will be provided but you will need to bring your own lunch and this can be eaten at the Visitor Centre. A minibus will be available to take people from the Visitor Centre to North Gare and there is ample parking in both locations. This entry was posted in E Newsletter and tagged Hartlepool, Heritage Lottery Fund, North Gare, Tees on April 10, 2015 by cbanorth.